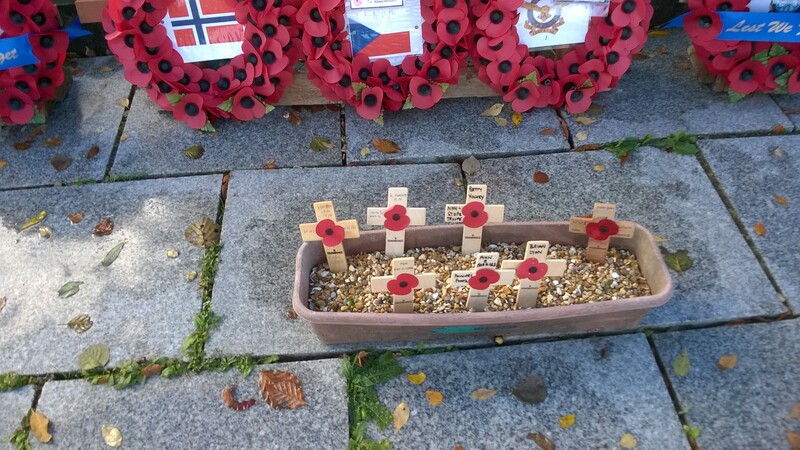 Sunday’s 100th Anniversary of the Armistice in World War I in 1918, was commemorated with a short Act of Remembrance at the New Forest Airfields Memorial at Holmsley South. 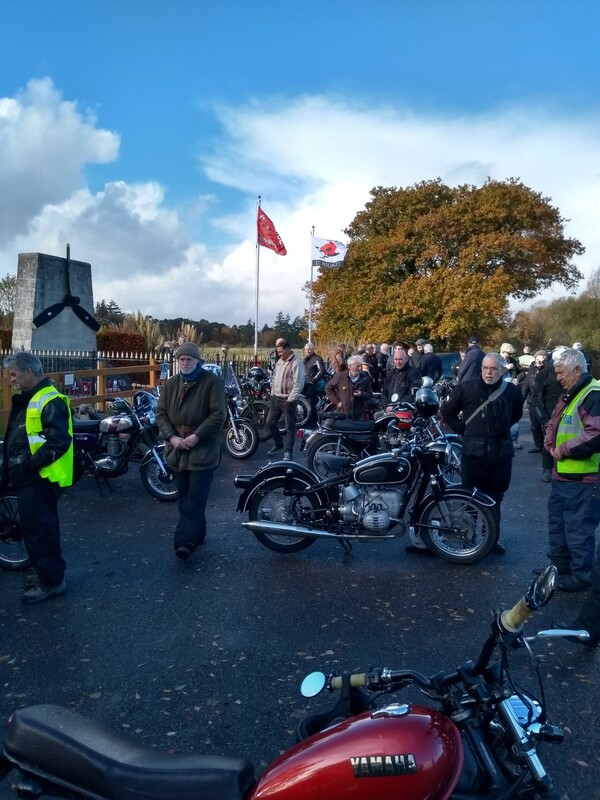 It was well attended by a wide variety of 50-60 visitors, from far and near, including the loyal group of thirty motorcyclist supporters, who come back every year. 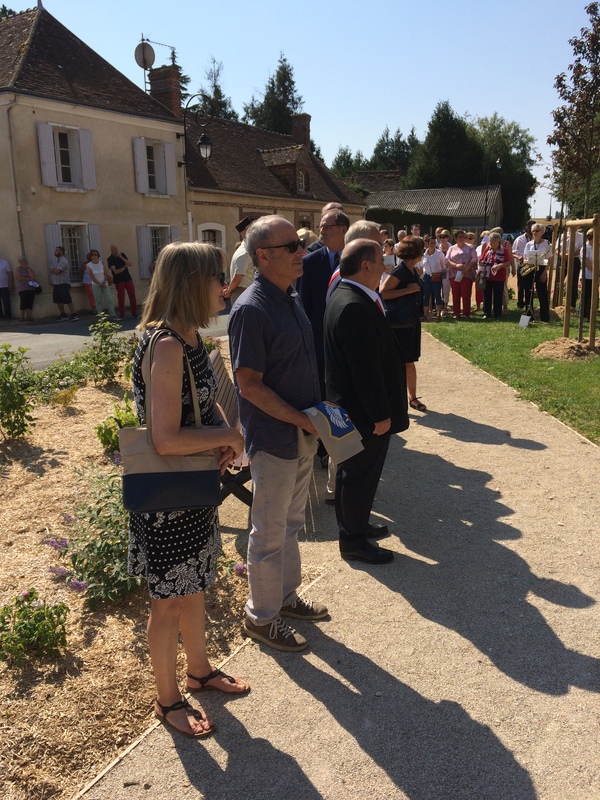 John Brooks, Honorary Treasurer and former Chairman of Trustees of FONFA, led the commemorations, supported by other Trustee Board Members. 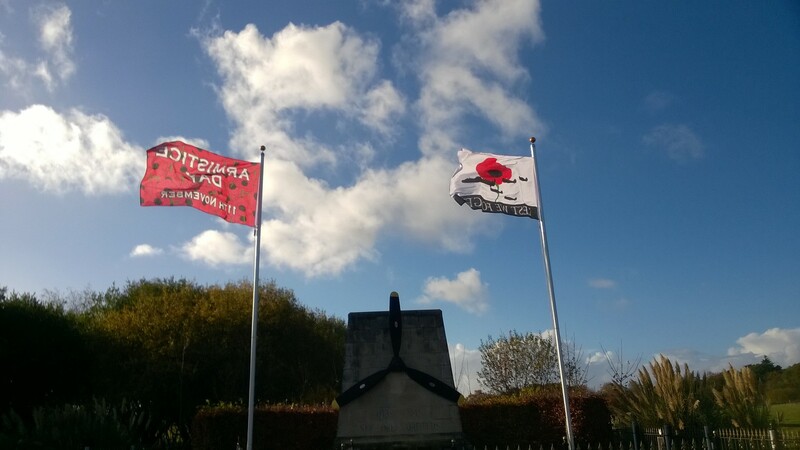 Photos above and below show that sunshine prevailed between the showers, on Sunday 11th November, the 100th Anniversary of the ending of the First World War (Photos kindly courtesy of John Brooks and Steve Robson). 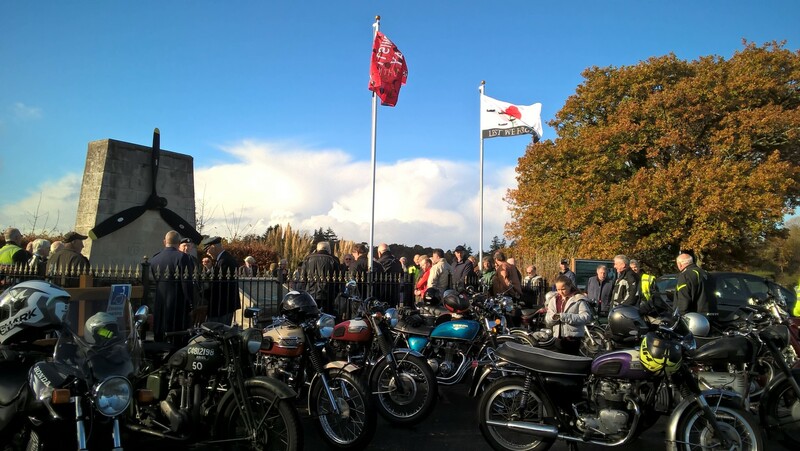 The Museum Open Day on Sunday 14th October was a ‘Red Letter’ Day. 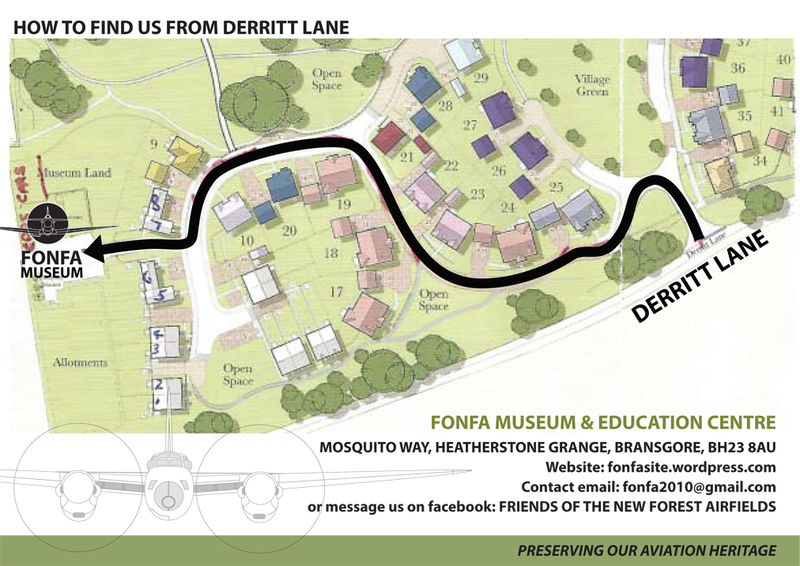 when the FONFA Trustees welcomed Councillor Lesley Dedman, the Mayor of Christchurch, on an official Mayoral visit to the New Forest Airfields Museum at Bransgore. She has family Service connections and has held a longstanding interest in local education, so as keen to see what we are able to offer young people, through the various exhibits, models, memorabilia and limited edition prints housed in the Museum. 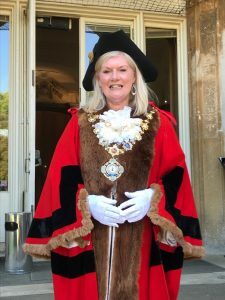 The Mayor spent almost two hours on a guided Museum tour, accompanied by Dr. Henry Goodall, FONFA Chair of Trustees, and met long serving Trustees John Brooks and Lynn Corbin, who were also in attendance. We hope that this visit will promote new contacts with more local schools, through her personal interest and recommendations, and that this will in turn lead to us being able to expand our outreach to the local community, with greater publicity and community involvement in the work of our Heritage Charity, going forward. 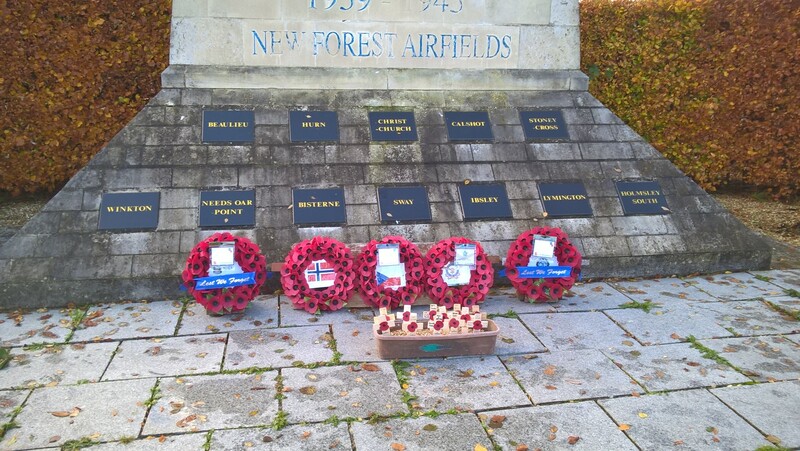 Our aim thereby is to tell the story and spread the knowledge of our local WWII aviation heritage far and wide, to all young people in the New Forest area, by informing and educating them about the dedication and heroism of past generations, without whose sacrifices, they would not enjoy the freedoms that they do, today. This month’s Issue is Number 14 in the series. 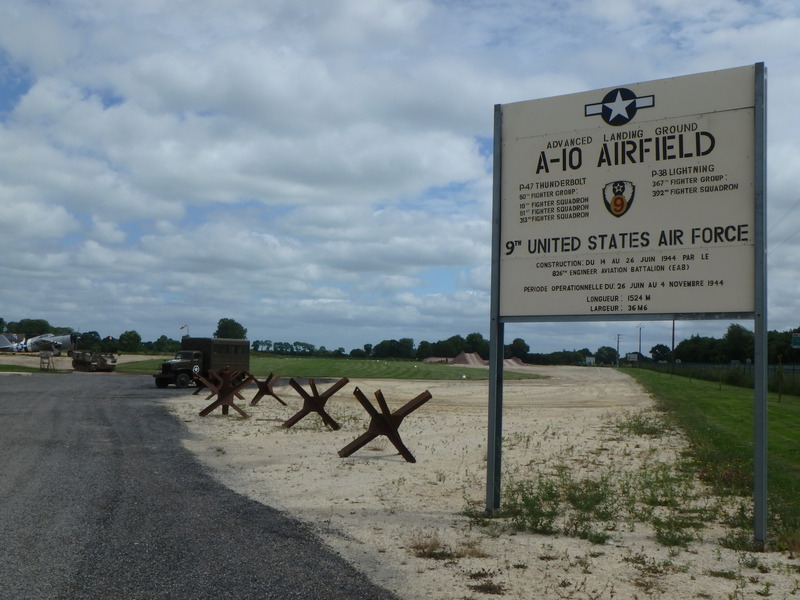 Those of you who read Olivier’s ‘Issue 13’ will be familiar with the level of detail and intimate descriptions of life for members of the US 367th Fighter Group, during and immediately after their transition from the relative calm and safety of the New Forest airfields, to the more uncertain and demanding existence on the hastily prepared front line Advanced Landing Grounds, among the age old hedges and banks of the ancient Normandy ‘Bocage’ countryside. Issue 14 contains more personal stories and some rare colour photographs, never before published outside of the Group members and their families, and we are truly privileged to host these unique recollections on the FONFA website. A few of the photos have found their way onto the Internet, but many will be new to our readers and to the wider world. It is not widely appreciated nowadays that colour film (early Kodachrome) was not generally available outside of official Signal Corps channels, even in the American forces, so these colour photos are of great significance, even if the colour balance is not up to modern standards. 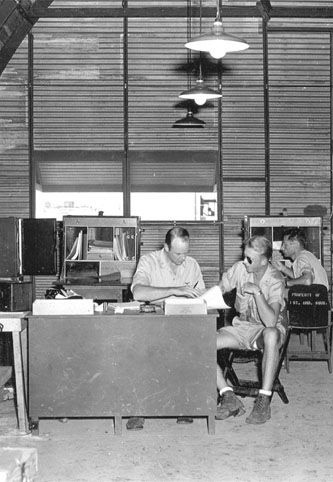 Very few press reporters were ever flown on a bombing raid, especially in a P-38, so these photos are unique, in more ways than one. 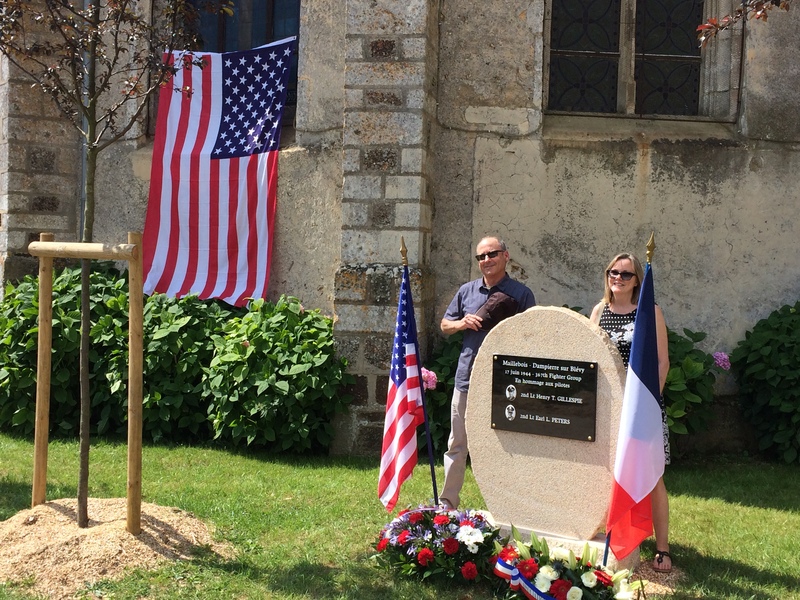 The Issue ends with 1944 Christmas Menus and a very personal message to the 392nd Fighter Squadron personnel, a kaleidoscopic sequence of snapshot memories of the nine months past, for reflection, and to give thanks, for their survival. The western end of the runway at A-10 Carentan (392nd Fighter Squadron’s first base in July 1944) was submerged decades ago, under the new N13 Cherbourg to Bayeux route, (on the right in the photo below, which was taken standing on the centre line of the WWII and present grass runway, looking east), but most of it survives today as a grass airstrip for light aircraft, alongside the new Normandy Victory Museum, which is well worth a visit, to see its life size dioramas and many well displayed documents, depicting both military and civilian life and experiences, in those dark days of 1944. 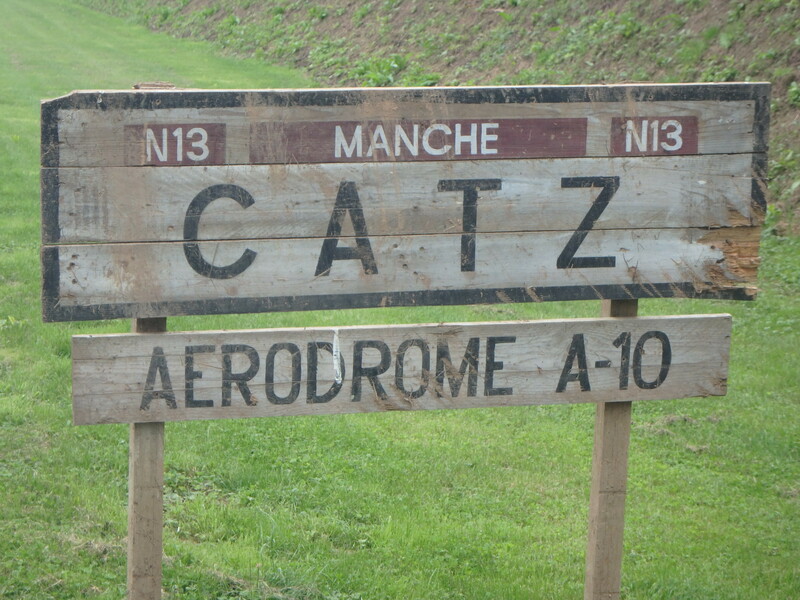 The original wooden village sign still welcomes visitors to the airfield site, alongside the approach road! Finally, the YouTube links are well worth viewing, especially the sequences, shot by two separate photographers, showing Generals Eisenhower and Quesada arriving at A-2 Criqueville, in a converted P-51B Mustang. They didn’t seem to worry much about smoking restrictions around fuelled aircraft, in those days! 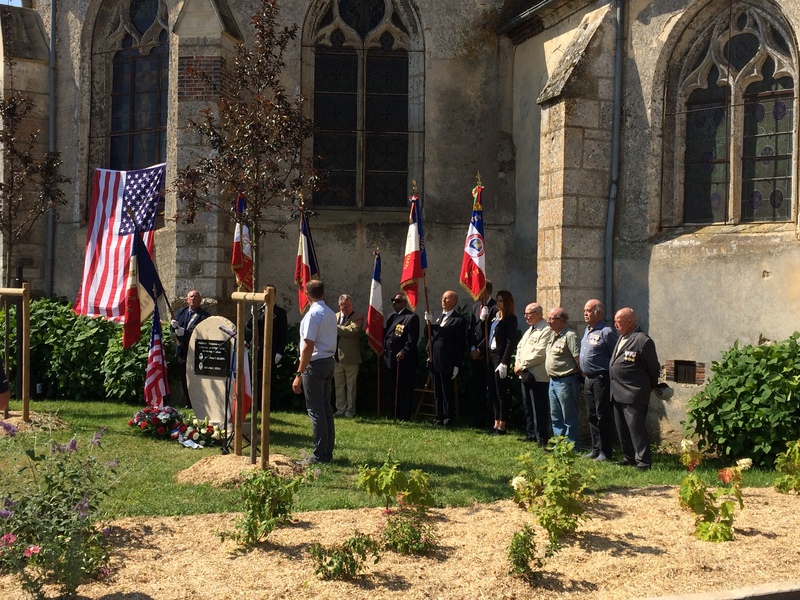 Note also the dust, the basic living conditions, the impromptu rodeo with local horses, the camouflaged aircraft dispersals, the medal ceremony conducted in a small field and the young pilots, all around twenty years old. The exuberance of the young P-51 pilots is wholly understandable, ‘beating up’ the airstrip at Criqueville, when they were being given the equivalent of today’s Formula 1 racing cars to play with, even if their lives were on the line daily, for months on end. 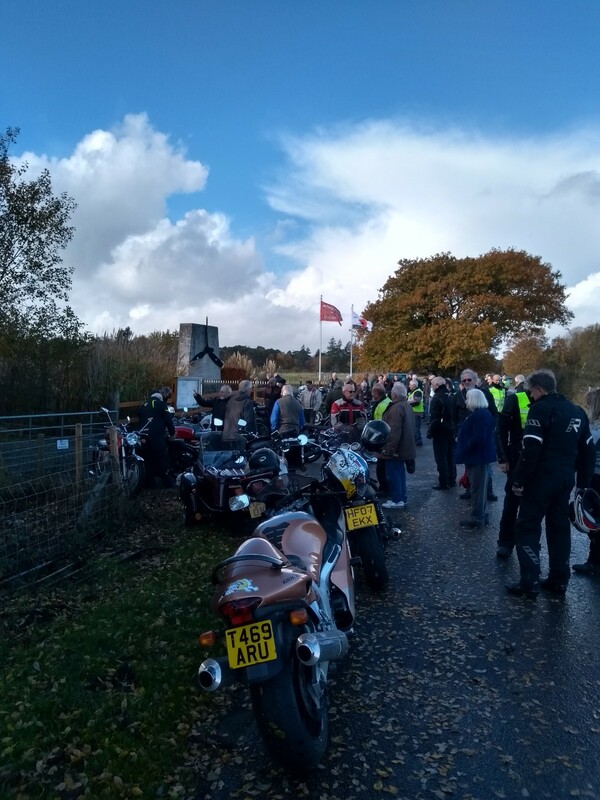 On Sunday 14th October, the Friends hosted the last scheduled 2018 Open Day at the FONFA Museum at Bransgore BH23 8AU from 10 am to 4 pm. Light refreshments were available for visitors, on Open Days. Free Parking for visitors was available adjacent to the Museum. N.B. New Members joining in October will receive Membership for the whole of 2019 included – see our “Join Us or Make a Donation” website page. 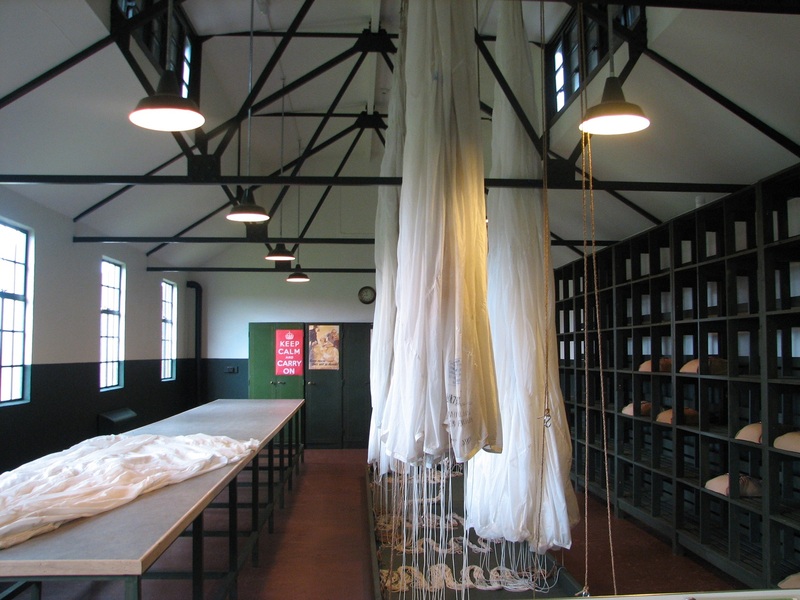 A list of planned 2019 Open Days is listed on the “Open Days, Upcoming Events and What’s New?” page of this website. Entry is either free, on production of your FONFA Membership Card, or via a donation for non-Members of a minimum of £7.50 for adults and £3 for 10 -16 year olds (Entry is Free to ‘under 10s’). Service Veterans (having served before 1961) are admitted on a concessionary rate of £3, on production of their Service ID. Please be prepared to make your donation in cash, as we have no credit card facilities, being only a small Charity. Thank you. 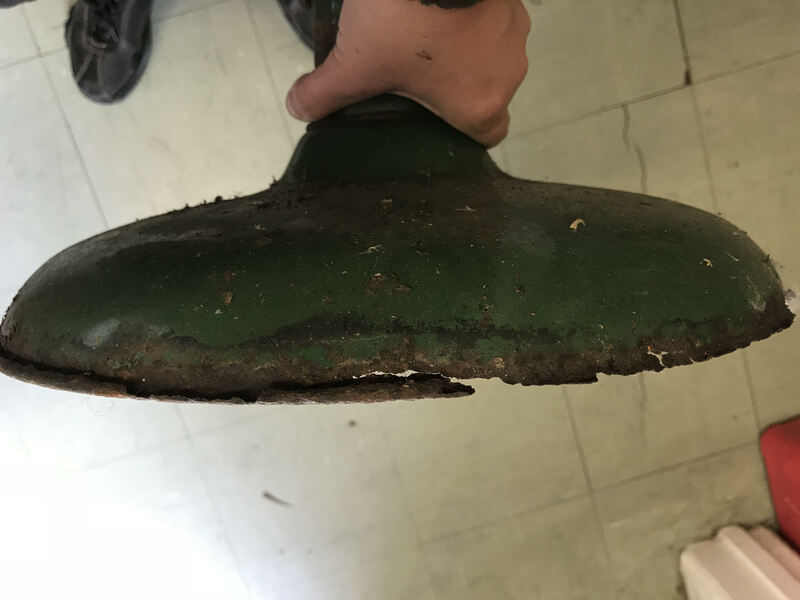 Last week, while carrying out a ‘litter pick’ in some undergrowth and cleaning up the Holmsley Camp Site, the Site staff came across an interesting unknown object in good condition. 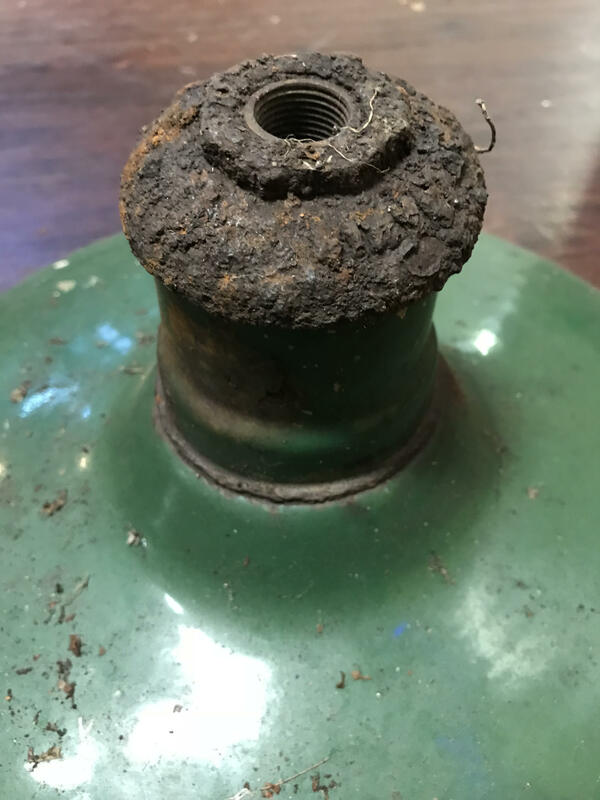 It was a standard Nissen Hut light shade fitting, many tens of thousands of which were manufactured for use in Service premises and on RAF airfields, during World War II. They were normally suspended from the ceiling, to give light over a wide area. The dark green gloss paint is mostly in good condition after 60+ years in the undergrowth. The electric shroud fitting is corroded and the white inside and edge is stained with some rust but, given that it has spent the interim in the open, it is in remarkable condition. 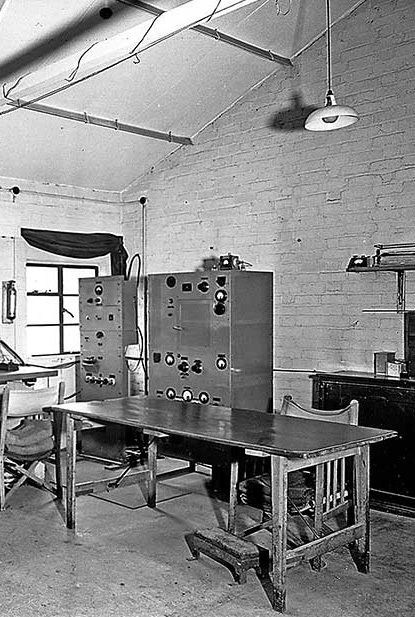 They were used everywhere, from offices to radio sites; parachute packing blocks to latrines. In order that the largest number of people can view this artefact, the Holmsley Camp Site has kindly donated it to FONFA, for display in the Museum. We are grateful to them and in particular appreciate the support of Lou Barry, who alerted us to the find. 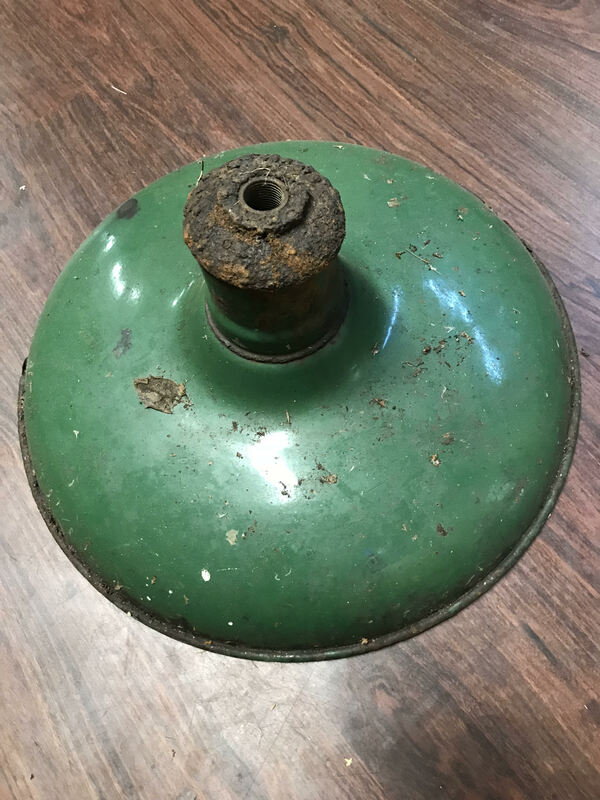 We will display it with photographs of how the fittings were used; yet another important original piece of local history to add to our growing collection of WWII memorabilia.